Your cat’s teeth, and their care are vital in terms of keeping your cat healthy and preventing disease. Periodontal (gum) disease is the number one diagnosed problem in cats; by the age of three, 70% of cats have some form of periodontal disease. Lack of healthy teeth and gums can lead to heart disease, liver disease, kidney disease, stroke and even diabetes. In this article I will cover the cat teeth anatomy, the causes of dental disease, and the most important natural solutions to keeping your cat’s teeth and gums healthy at home. Cats start with deciduous (baby) teeth- similar to people. The teeth first erupt between the second to third weeks- at four months kittens start to lose these baby teeth, and gain the full number of 30 adult teeth by the ages of 6-7 months. Cat teeth are uniquely different from dogs; none of the teeth of cats have grinding surfaces. Cat’s have evolved to eat meat, and not chew or grind plant material. Most dental problems happen after the adult teeth have formed. Plaque, a thin coat of bacteria, accumulates on the teeth, then it progresses to tartar, leading to gum inflammation. Bacteria also grows under the gum-line, causing gum infection (gingivitis) which can lead to tooth loss if not treated. Other dental problems include broken teeth, which can show as being painful to chew. Tooth root abscess are infections which form at the tooth root; they can cause swelling under the eye. Cats are prone to a specific type of dental problem called a FORL (Feline Odontoclastic Resorptive Lesion). This is equivalent to a cavity where the tooth decays at the gum line. Natural Diets. Raw meaty bones and windpipes, ( ie chicken necks) can help keep teeth clean. Cats splinte pieces of bone, and are at risk of obstruction, so do not give him bones. To rule out the risk of Salmonella (a bacterial infection), put the bones or windpipes in boiling water for 30 seconds first. Thank you for the information. My six and eight year old cats currently live on the 3rd floor of a retirement complex. They do not come in contact with any other animals except on the very rare occasion when they need medical care. So I do not feel any immunizations are indicated. They both received kitten immunizations years ago but I do not feel there would be any benefit in subjecting them to the risk associated with immunizations now. Hopefully I will be able to maintain this living situation for many years and they will continue in their current level of health. I would like to know where to,purchase the plaque off I have 4 cats and do not want to take them to the vet for cleaning because the vet collapsed my dogs trachea with that tube they stick down their throat. My cat has stomatis ,is there anything natural I can use. My vet wants to remove his teeth. Hi Donna, when my cat had stomatitis, I switched to distilled water only and somehow the stomatitis went away. My cat is not eating. 3 months ago his teeth was cleaned. Then about 2 weeks after, he started biting and tugging at my bed covers so I took him back to the vet and he gave him a rabies vaccine, purevax, and Depomedrol 20mg. Vwhen I took him homega, he wasn’t the same, slow moving and a little out of it. The vet said it was normal because of the shots. Okay so the shots wore off and he was eating, but he then started sneezing and spotting, so the vet gave me Azithromycin of which stopped the cold, but not he seems to no be able to chew his food. He will appear to be eating, then I noticed that he spits it out. He does drink water. Does anyone have any insight. Before his teeth were cleaned, he was healthy, eating well, and vibrant. Now I’m afraid to take him back to that same vet. If anyone has anything to add, please let me know. My Tyler is 8 years old. Rhonda, it sounds to me like your vet damaged poor Tyler’s teeth. 🙁 I would take him to a different vet and get their opinion if I were you. My cat has to have a tooth pulled and i’m trying to see if there is something natural that I can help his teeth and gums. I have cat toothpaste but I feel like there is more that I need to do. I read that cats can’t have baking soda. But here you say that I can. My vets says that it’s too late to do anything and it needs to be pulled. Please help! We have a 21 year old cat. Yesterday we opened her mouth cause she wasn’t eating and pawing at her mouth and saw a bad tooth. My husband touched it and it fell out in his hand. She started eating and drinking water. My question is; what natural product can I get and put a couple of drops in her food to help with the tarter? I feed an old cat 5hat paws at her mouth when I feed her and she tugs out white saliva with her paw. She really smells bad. I live in Japan so, I can only imagine the cost of a vet. Is there something I can give her to get rid of whatever it is. Plaque Off can be purchased on Amazon. There are two “different” ones. One is marketed for cats & costs about $27 and another for dogs at about $16. The ONLY difference is the cat one has brewers yeast which most cats love the taste. I’ve used both and my cats didn’t mind either one and so I buy the one for dogs to save money. I mix it in their wet food. Remember with any supplement or new food to slowly increase the dose. Start with a small partial dose and work up to a full dose. Watch for side effects. Brewers yeast is CHEAP & it lowers blood sugar in animals and people. But, there’s probably not enough in this supplement to affect blood sugar. But watch for signs like depression, lethargy, difficulty walking (hind legs dragging). The likelihood is minimal. So, don’t worry just be vigilante with cats & dogs. As always, have your cat or dog seen before starting a supplement. Oh, also because of its high iodine content make CERTAIN to watch for thyroid symptoms!!!! Have a test done beforehand to make sure your pets thyroid is normal. Test during use to make sure the thyroid remains normal. Some people reported that their (male) cat developed bladder crystals, stones or an infection while taking Plaque Off. Moreover, cats with a predisposition or prior history of bladder crystals, stones, infections or blockages were at a much higher risk of developing those urinary issues again. So, best to be able to take your cat or dog in for a check up before and while taking this AMAZING supplement. My cat’s gums went from bright red and bleeding to pink and very little intermittent bleeding! Certainly a wonderful supplement that truly works! Remember, stomatitis (I think I spelled that wrong), gingivitis and other oral diseases are VERY painful for your pet! So, please try something. Plaque Off is great but do use other things as well like vitamin C, gentle brushing and so forth. A raw diet is best. Please stop dry kibble if possible. Human grade wet food is second best next to raw. Freeze dried raw is a great place to start. Carbs found in dry kibble and most commercial wet foods is a leading cause of tooth decay, gum inflammation and disease. My cat has FORL and tartar. I serve boiled soft flesh of fish. my cat can’t eat fish bone or other non soft raw flesh and organs…it will make my cat nutrition-unbalanced..
nowdays i only feed water soaked soft Natural balance ultimate chicken and salmon kibbles.. I can’t apply your curing method to my cat because he can’t eat hard food..that is the real problem…. Is removing the tartar only the best way? but I was told that FORL cat can’t undergo tartar removing method, because the vibration of ultrasonic scaler will damage my cat’s gum and tooth.. right? First of all everyone needs to think about how Animals behave in the wild! Just because we “domesticate” them doesn’t mean their wild natural behavior dsappears; it never will… Stop vaccinating, first of all, beyond puppy/kitten vacs, be sure to space them out and only give ONE at a time! Wait at least 2 weeks before allowing vet to give another! After initial vacs DON’T allow anymore! The immune system WILL build antibodies from that point on. Leave their poor bodies alone!! Vaccines do more harm than good! FACT. ALL Disease, ADD, AUTISM, AUTOIMMUNE PROBLEMS, ETC!!! Again they’re UNnatural, they’re an assault on Animals and humans even though western “drs” will NEVER admit this because billions of dollars are more important than actually honoring the Hippocratic Oath!!! What Animals NEED is the same thing, or as close as we can come, as they’d get in Nature! 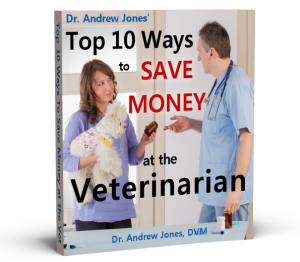 Processed food, vaccinations, flea and tick treatment (totally toxic!!! Just sprinkle garlic POWDER on food, starting with small amount in beginning. Blood suckers are REPELLED by simple garlic!) and all lab produced things are harmful CRAP that generate tons of profit! Do right by your pets, your children, yourselves and live as naturally as possible. Feed/eat whole, organic (pesticide, herbicide, fungicide, GMO FREE) foods, drink purified water, get OUTSIDE, breathe FRESH air, move your bodies, don’t vaccinate, LET the Immune System do, without medicine (!!! ), what it was designed to do billions of years ago! Without the above our bodies don’t know how to react, toxins build up, we get inflammed then disease starts, and so on!! It truly is simple. Research Research Research. I keep reading about the idea of brushing cats’ teeth. Although it might have the desired result, how in the world could someone EVER convince a cat to let them brush their teeth? We have five indoor cats, one indoor-outdoor cat, and two outdoor cats that actually supposedly live somewhere else, although they are at our house most of the time. Our youngest cat is five years old, and all of the cats are extremely difficult to even manage to give a pill to, yet alone convince them to sit passively once a day while you brush their teeth. The youngest one DOES have gingivitis, and she has had three shots, which likely contain prednisone, which has helped, but is now not working as well. We are horribly concerned about her, but are looking for a long-term solution. I don’t understand why cats are now having these problems with gum disease that apparently were not common until recent years.